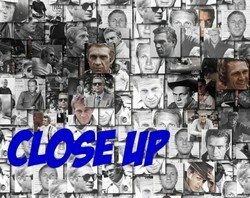 This is an Art Print of Steve McQueen. It is a mosaic. His face made of 100s of photos of him. This is an art print image. See CLOSE-UP image for detail.